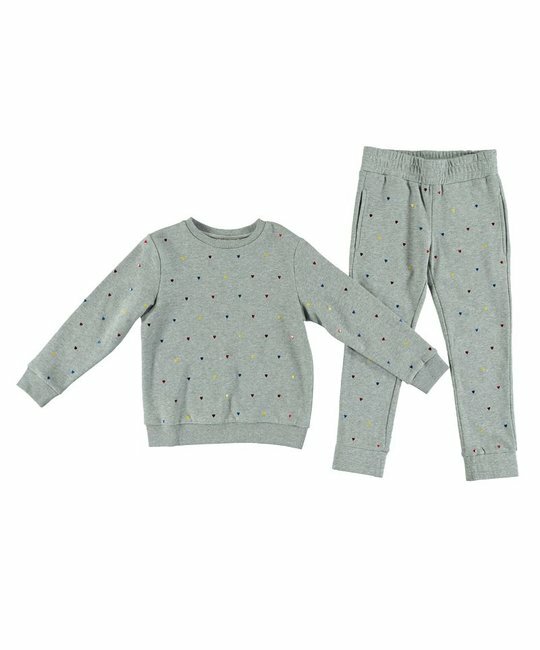 Stella McCartney soft cotton grey jogging suit with multi-colour heart print detailing. 100% Cotton. Imported.